A 24-year-old man and a 35-year-old woman were arrested Monday morning after leading officers on a pursuit through northern San Diego County for around an hour. Officers spotted a Volkswagen Beetle around 2:45 a.m. on Del Mar Heights Road. 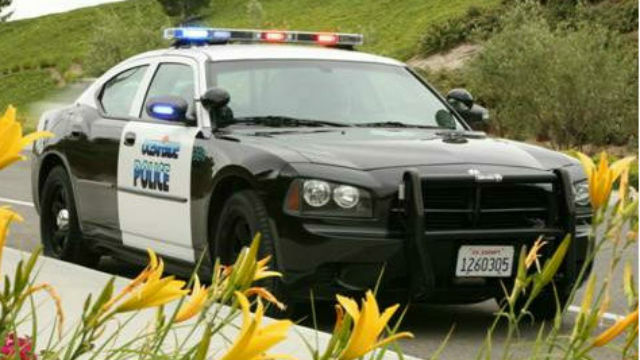 It matched the description of a car that was stolen in Oceanside Sunday morning, Oceanside Police Sgt. Lonny Harper said. When officers attempted to pulled the car over, the Volkswagen driver fled northbound on Interstate 5 toward Oceanside. The car eventually transitioned to southbound I-5 and headed back toward Del Mar before switching to northbound I-5 at Via De La Valle, Harper said. Along the way to Oceanside the car ran over a spike strip, but the Volkswagen driver kept going until reaching the amphitheater of the Oceanside Pier, he said. The man and woman, whose names were not immediately available, then got out of the car and were taken into custody without incident around 3:50 a.m., Harper said.